This is the quilt that Kathy’s picture was added to. 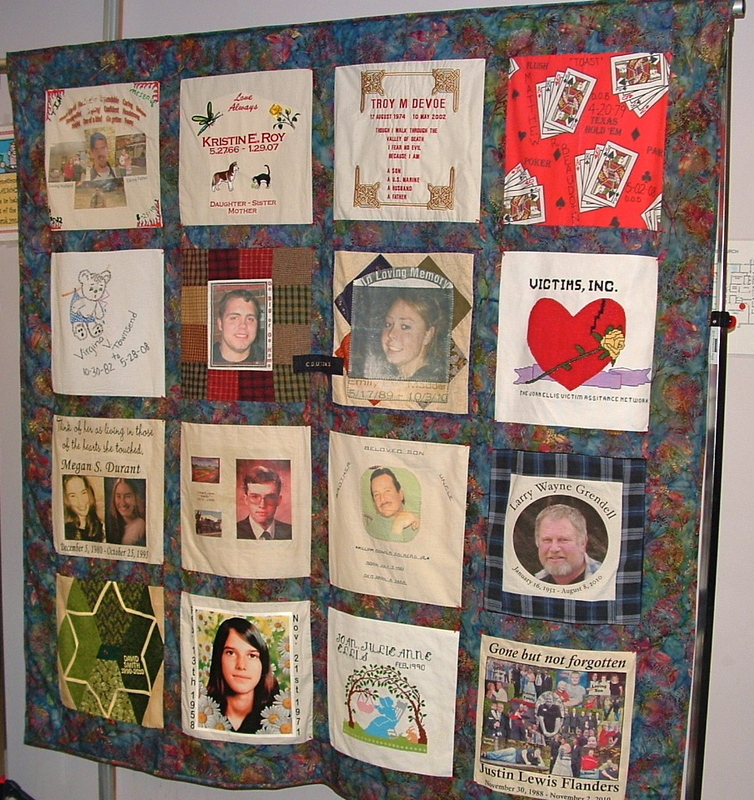 On Victims’ Rights Day all the quilts are displayed, sadly there are way too many. NECN did an interview with my sisters Ann and Janet, the quilt was revealed. Kathy is on the bottom; second one in on the left. It’s hard to believe it’s been forty years. what a beautiful picture of Kathy. Yes it is. I always wonder what she would look like now. Thanks Lisa your prayers are a treasure to me.